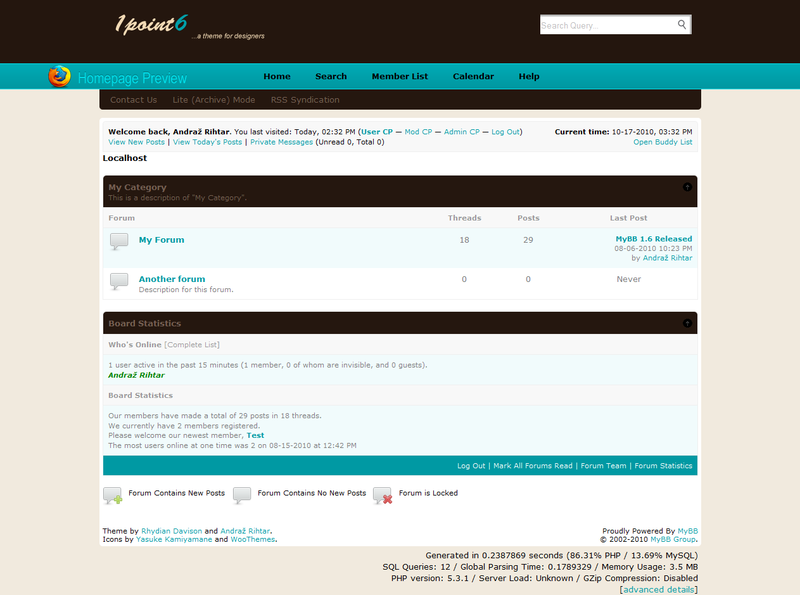 1point6 is a nice dark/light user-friendly theme. 1point6 is a nice dark/light user-friendly theme. Theme has been designed by Rhydian Davies and coded by Andraž Rihtar. Theme has been tested on IE7, IE8, FireFox3 and Google Chrome.